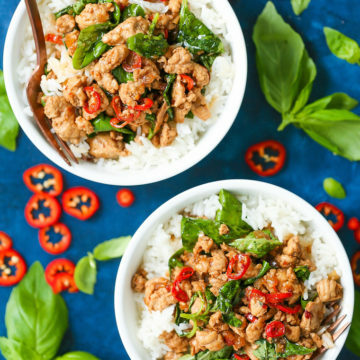 Successfully saved Thai Basil Chicken Bowls to your Calendar. You can also save the ingredients to your Grocery List. A 30-minute meal with less than 400 calories per serving? YES AND YES!!! It’s so quick to whip up, budget-friendly, and SO GOOD!